Fiction Friday (August 10, 2018): "No. 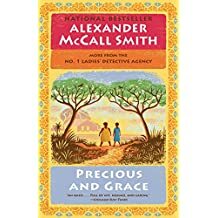 1 Ladies' Detective Agency"
I just finished reading the 17th book in the series, "Precious and Grace," which I recommend as being as delicious and soothing and fun as the first sixteen. 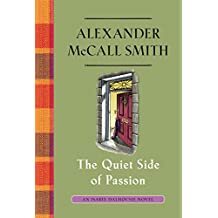 What's even better, now I see there are two more books in the series available from the wonderful Alexander McCall Smith: "The House of Unexpected Sisters" (pub date May 2018) and "The Colors of All the Cattle" (this one actually due out in November). Better still, the 12th Isabel Dalhousie book is out in hardcover, meaning I'll soon be able to find it at an affordable price in paperback.